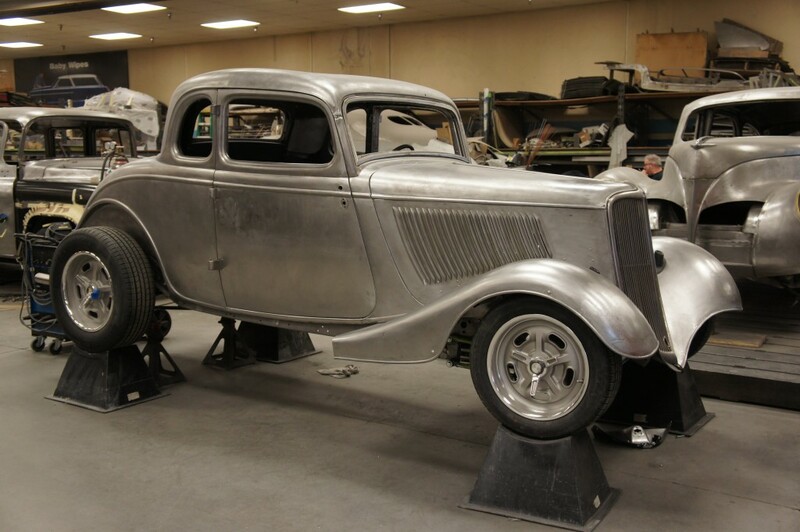 This 1933 Ford 5 window coupe came in from the Seattle Washington area for a complete build with modern drivetrain. 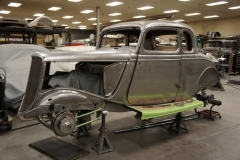 The original “Henry Ford” body and sheetmetal was dipped to remove paint and rust before any fabrication and repair was undertaken. A new chassis was built with a new 500 horsepower Ford Boss 302 crate motor. 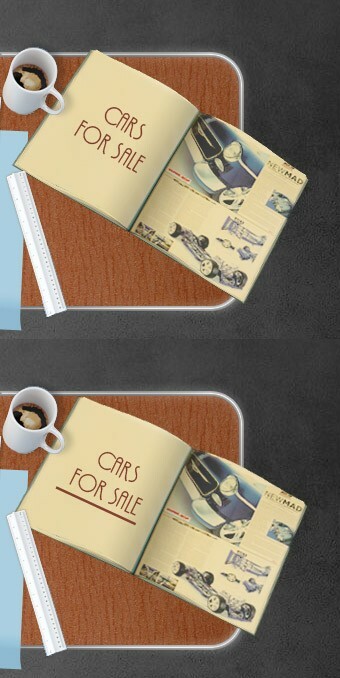 Eight stack injection will supply the juice for the many horses under the hood. 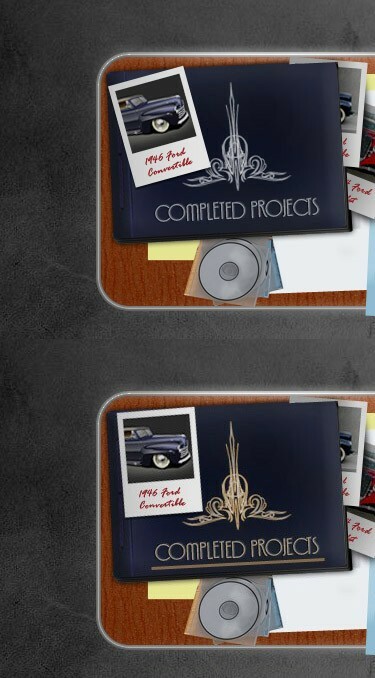 A Tremec 6 speed transmission will guide the car through the gears. 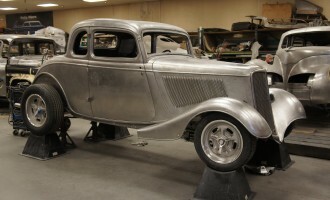 The chassis consists of a boxed stock frame with a Ford 9″ on the rear and a Superbell straight axle up front.